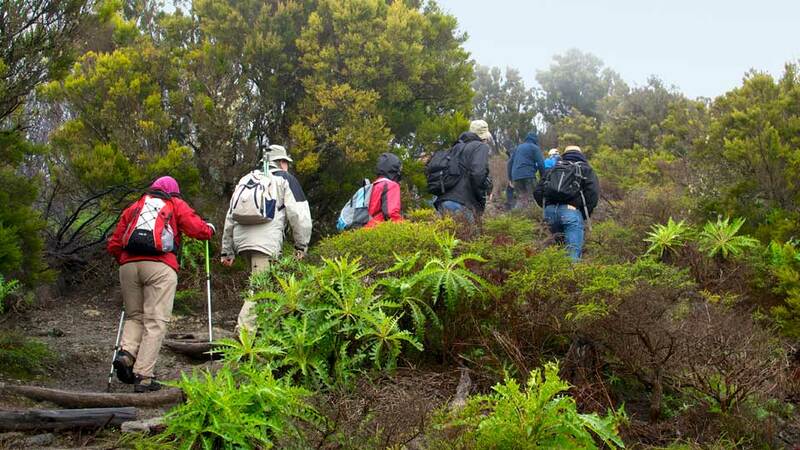 The Garajonay National Park lies at the very heart of La Gomera. Its 4,000 hectares of rare natural beauty extends into all six municipalities of the island. Although situated in one of the smallest of the seven Canary wonders, it’s no doubt one of its finest. The Guanches were the first to roam the majestic terrains of Garajonay National Park. In its dense forests, these aboriginal people developed the whistling language, Silbo Gomero. It is an ingenious and optimal means to communicate across ravines and valleys. Although they will never know now, they have added another jewel to La Gomera’s treasure chest. In 2009, UNESCO declared it a Masterpiece of the Oral and Intangible Heritage of Humanity. In the late 15th Century, the Spanish conquest of the Canary Islands ended with success. With that, the way of life in La Gomera changed, and feudalism ruled the land for centuries. It was not until 1812 that the tides finally turned for the beautiful island, or for its woodland at least. The new constitution abolished the estates of the nobility. At the same time, forests were also declared a public property as they should be. The natural marvel has since soared high. By 1981, it became a national park. And, in 1986, UNESCO also declared it a World Heritage Site. The Garajonay National Park isn’t only full of natural wonders. It also has a tragic love story to tell. The park and its peak were named after a tragic Guanche legend which happened way before the Spanish conquest of the Canaries. According to the story, the Gomeran Princess Gara and the Tenerife Prince Jonay met in a ceremony and fell in love. Everything was going well until Mount Teide erupted while their engagement was being announced. Unfortunately for the young couple, this natural incident was viewed as a bad omen. Consequently, their parents broke off the engagement and Jonay was forced to go back to Tenerife. The young man then swam his way back to his beloved, and the two ran away. Both fathers ordered for their search until they had nowhere else to run. While trapped on a mountain, the young lovers chose to take their own lives rather than be separated. Although the lore of Garajonay is heartbreaking, the view of the 4,869 feet high peak and the rest of the park aren’t. If anything, they are breathtaking. Ever wondered what Southern Europe looked like around 65 million years ago? Well, humid subtropical forests veiled it then. Springs and streams ran in its lush landscape. The soil was for sure rich and fertile. Flora and fauna were at its pristine. Although it may seem that such a paradise is forever lost, one still exists in the island of La Gomera. Garajonay National Park is the best example of Canarian Laurisilva. It’s more than that though with a vast subtropical land home to several varieties of thriving forests up to this very day. And its doorsteps are open to those who want to get closer to nature. There are plenty of entry points, and all roads are very well-maintained. Hiking through paradise can’t get easier. The Juego de Bolas Visitors’ Centre situated in La Palmita, Agulo, on the north of La Gomera is the first stop. Although it is but a preview of what tourists can expect to see in the stunning park, it is remarkable on its own. 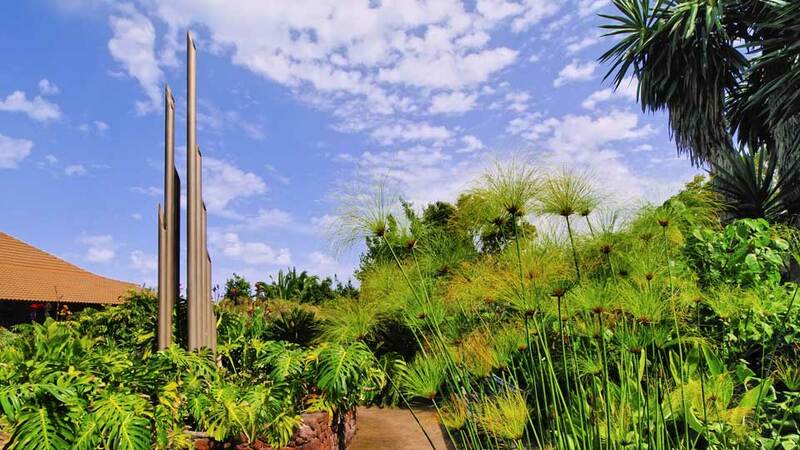 Visitors receive a warm welcome from the gardens as soon as they enter the center grounds. These gardens have floras unique to the Canaries, with many even endemic to La Gomera alone. After a botanical journey, they then travel back in time in “The House of Memory.” The museum has three exhibition rooms that showcase the island’s rich culture. Here, models of cobblestone houses and the interiors are on full display. Guests will also not miss depictions and an audiovisual presentation of the inhabitants’ way of life. A bit of geography and zoology also wouldn’t hurt. A huge model of the island and panels about its features, flora, and fauna are also presented. Since the park is home to most of the endemic plants and wildlife on the island, the panel contains quite a lot. After a visit to Juego de Bolas, tourists have a better understanding of La Gomera and its many beauty. 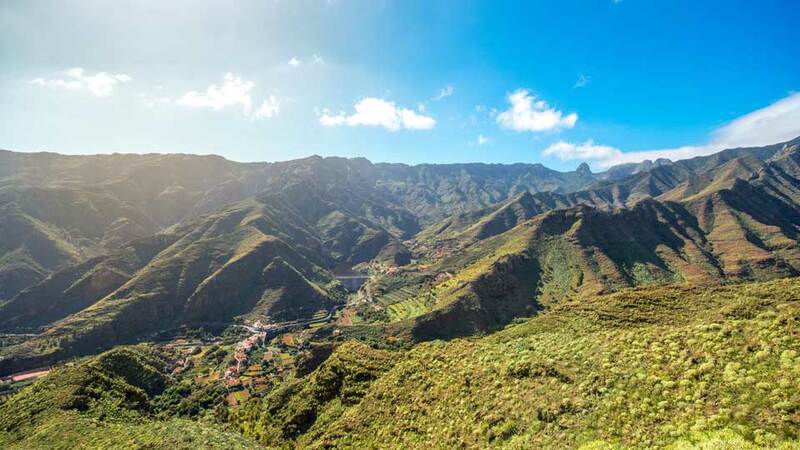 La Gomera is the ultimate hikers’ paradise in the Canaries. As a matter of fact, it has a network of trails that connect its endless mountains and ravines. The ones with the most breathtaking scenery go through the Garajonay National Park. The 4.8-km trail from El Contadero to El Cedro is the most popular one. On the contrary, the 12.7-km Pajaritos-El Cedro-Tajaqué-Pajaritos is the toughest. The El Cedro Forest is the superstar of the whole Garajonay National Park. In fact, its beauty is one of the main reasons for its declaration as a World Heritage Site. It is but a small part of the expansive laurel forest which makes up the majority of the park. Nonetheless, it is its most precious gems. The trail through the misty forest with a stream of clear water and abundant flora is dreamy. It even has the quaint Chapel of Lourdes which adds to its dreamlike charm. What it is not, though, is easy. In other words, the trail can be challenging, but the hike and sweat are all worth it. In Garajonay National Park, there’s plenty of space for everything including recreational areas for day outs and picnics. The biggest and most famous is the Laguna Grande. It has an enthralling view of the Garajonay summit, which is one of its nearest attractions. Aside from the magnificent landscape, there’s also a playground, a picnic area, and a restaurant. Some tourist may prefer less crowded recreational areas. 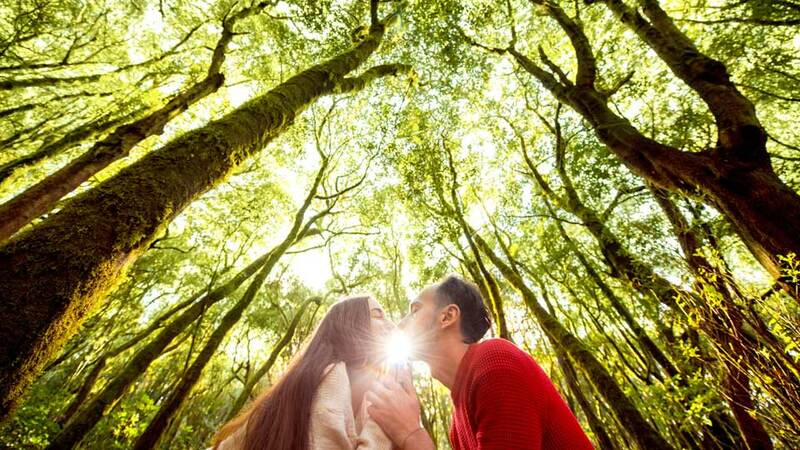 They can try Ermita de El Cedro, Las Creces, and Chorros de Epina for a more peaceful and tranquil family time with nature. La Gomera is an island with never-ending impressive sights. With this in mind, a park with nine viewpoints shouldn’t come as a surprise. Each of these viewpoints or miradors offer natural spectacles worth a thousand words. They are definitely worth the visit when in the Garajonay National Park. 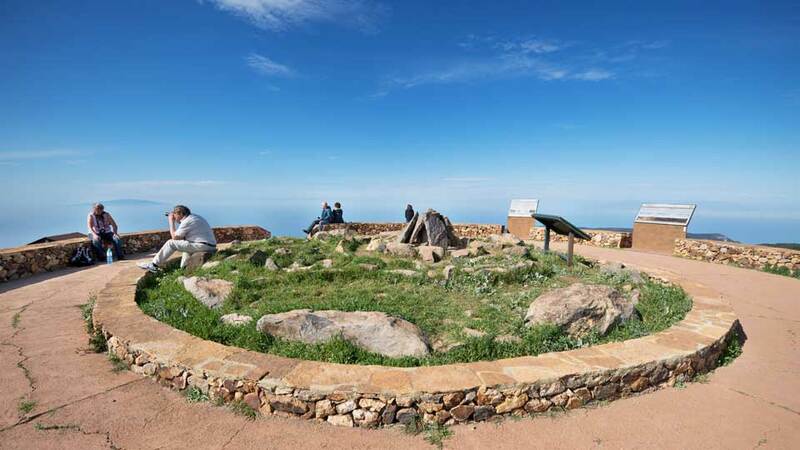 Mirador del Alto de Garajonay is set at the highest point of the island. From this vantage point, it offers more than a view of the park. Visitors here can marvel at a large part of the island and even other nearby islands. There are also two more outside but are still very close to the park. To know about the viewpoints and what sights they offer, please drop by the visitors’ center. The climate in the park is mild and consistent all year round. However, it never hurts to be well prepared. Don’t forget to bring warm and waterproof clothing for the mist and rain. Although the park is like a majestic set of a fairytale movie, don’t wear a glass slipper, or any kind of slipper, and fancy shoes for that matter. Some trails and pathways can be a bit challenging, so put on trekking shoes before happily hiking away. The Juego de Bolas Visitors’ Centre is open every day, even on holidays, from 9:30 to 16:30. Even better, the admission is free. As for Garajonay National Park, it is open any day of the year. But to see it in its most colorful and beautiful state, visit in springtime. The recreational areas inside the park have picnic areas with tables and grills. Hence, many visitors bring ready-to-eat food and some they can barbecue. There’s also a restaurant beside Laguna Grande that is particularly popular amongst hikers. Here they use fire from local wood to cook meat. They also have dishes with honey from Gomeran palm trees. Tourists can reach La Gomera by boat or plane. The prior is the most usual way for travelers to arrive from Tenerife. From Puerto de Los Cristianos, in southern Tenerife, take a ferry service to San Sebastián de La Gomera. It would only take 45 minutes for the ride. As for the latter, there are flights from Gran Canaria and Tenerife to La Gomera airport. Once in San Sebastian, take bus line 1 to Pajaritos, and then hail a taxi to Garajonay National Park. For those who prefer to hire a car, there are several car hire companies near and around the ferry port. Its diverse forests are a sanctuary to endemic plant and animal species. The majestic streams and creeks are still sources of fresh water for the towns around it. As for the great mountains, they’ve seen both the island’s bloody and beautiful history. Garajonay National Park is the crown of La Gomera. And it’s one spectacular crown bejeweled with the many riches of its vast land.